TWICE's MV for 'What is Love?' reaches 100 million views! Another MV by TWICE reached 100 million views on YouTube! 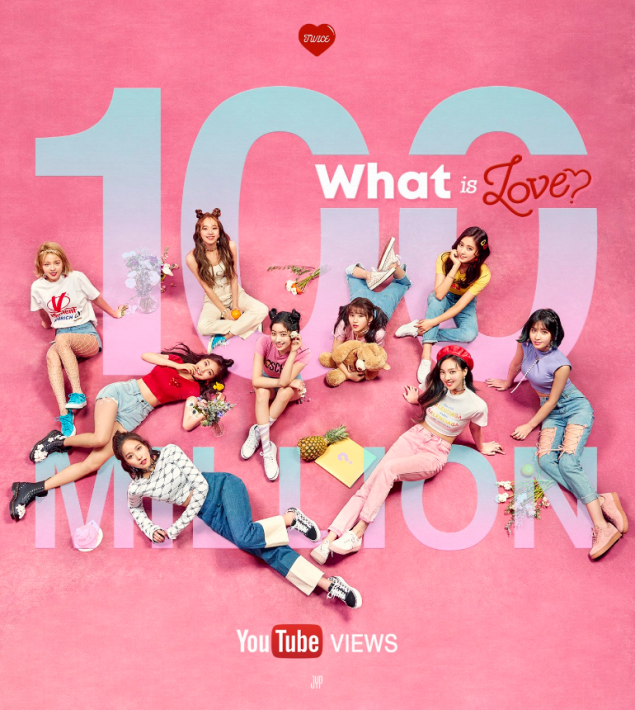 On May 14, the girl group's latest MV for "What is Love?" released on April 9, 2018, has hit the 100 million view mark. This is the 8th MV by TWICE to reach the 100 million views milestone, following "Heart Shaker" in January.